← Hetalia on Broadway (or West End. Whatever). Are always those whom I can cry my heart out for. ARTWORK NOT MINE, I CAN SHOW YOU ONE I DID ANOTHER DAY. Don’t you think they’d understand each other so much? 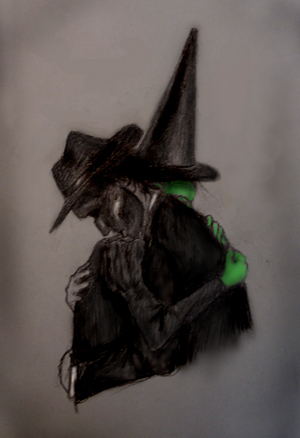 Both were outcasts for their appearances, both had their dreams crushed, both were geniuses, both were called ‘wicked’, both can sing, and both have lost their love of their lives (I really think Fiyero only pitied Elphie). Oh, and both need a hug. This entry was tagged Book, Elphaba, misunderstood, musical, pairing, phantom, phantom of the opera, Wicked, witch. Bookmark the permalink.